You can export your staff time and attendance data straight into WorkflowMax to speed up invoicing and cut down on double handling of data. WorkflowMax is great for invoicing, quoting, CRM etc whilst Deputy's strength is being the frontline tool your team uses to collect the data. Follow instructions on how you can export the timesheets from Deputy into WorkflowMax for invoicing (with automatic rate allocation for weekend/public holiday rates). The same data can be exported from Deputy again for payroll purposes. Email support@workflowmax.com to obtain your WorkflowMax Account Key for Deputy.com. This Account key is unique to your account and will be required at the time of carrying out your export from Deputy. Once you have entered it, it will be remembered for subsequent exports in the future. To ensure a smooth and successful export you will need to configure your task names within WorkflowMax to be the same as the Departments/ Rostering areas within Deputy. However if matching task names are not found in WorkflowMax Deputy will opt to use the first available task in the Job. Next associate the staff names on your WorkflowMax job to match those that you will export time and attendance data on. Names should be identical to ensure success. Similar to task names (as above), if Deputy staff are not found in WorkflowMax, it will automatically allocate all hours to the first available staff in the WorkflowMax job. Within Deputy Navigate to Export Timesheets. Select your date period and the relevant staff names to export. Select Export Selected Items to begin the export. Within the drop down menu choose WorkflowMax from the list and enter your WorkflowMax Account Key given to you by the support team at WorkflowMax and Click Export. 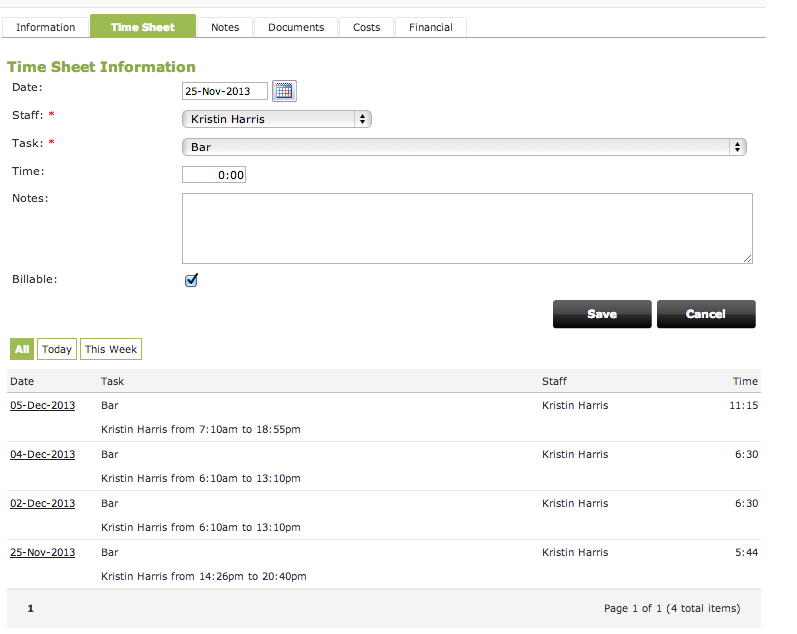 Once it matches the Job, it will then match the tasks for timesheet. Deputy will match timesheet's work area to match with job area. As long as either the name of the area or export code of the area matches with a task, the task will be used. If no matching tasks are found, Deputy will use the first allocated task of the job. Cleaning [Wed] - You can even charge a Wednesday rate if you like. 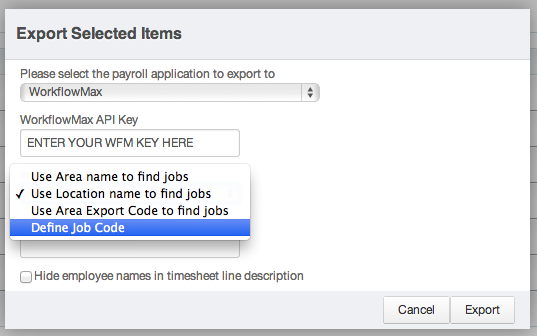 You can open the timesheet tab within the WFM job and see your exported data populated by date.